Come join the University of Maine Staff and learn how to cook safely for large crowds. 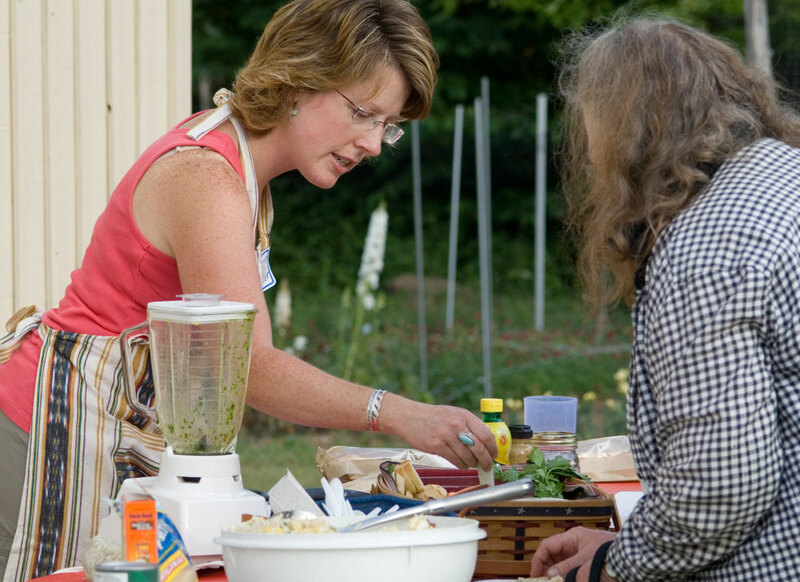 This workshop on Safe Food Handling is designed specifically for Volunteers. This class meets the Good Shepherd Food Bank food safety training requirements. Note: If registering more than one person, please register yourself, click Enroll, and then use the “Continue Shopping” option in your cart to add additional participants. Many organizations and community groups rely on volunteers for a variety of food events such as fundraising, fellowships, food pantries or other services to the community. But cooking for a crowd is tricky! How do you store all that food? When is the food completely cooked? How long can you leave food on the buffet table? Join UMaine Community Educator, Kathy Savoie, in this workshop on Safe Food Handling designed specifically for Volunteers. Participants receive Cooking for Crowds, a manual specifically designed for volunteer cooks, a certificate of attendance, posters, and an Instant Read Thermometer. For more information, visit Cooking for Crowds 2019 Workshops. If you are a person with a disability and need an accommodation to participate in this program, please call Rebecca Mosley at 207.743.6329 or 1.800.287.1471 (in Maine) to discuss your needs. Receiving requests for accommodations at least 10 days before the program provides a reasonable amount of time to meet the request, however, all requests will be considered.